Lingayen's capitol is an impressive piece of colonial architecture which is just a part of a complex of such buildings. The beautiful Capitol of Lingayen in Pangasinan, built in 1918 during the American colonial period, is an outstanding piece of neoclassic state architecture that has survived the ravages of World War II. Last January 2010, I was invited by the North Philippines Visitors Bureau to join a media tour of travel writers and bloggers to experience North Luzon for seven days starting in Cagayan province all the way to Pampanga to sample the various local cuisines and experience the attractions offered by the various provinces along the route. This building is actually part of a complex of beautiful American colonial era government structures whose architectural style is also popular in other parts of the country especially in Manila. It was built near the historic and picturesque Lingayen beach where Gen. Douglas McArthur landed. As one drives up to this complex, its beautiful, tree lined boulevard greets the visitor. At the far end, is the impressive capitol structure, now painted in white and yellow. For heritage enthusiasts, this stately edifice just awes and with the dramatic lighting during evenings, one can just sit at the distance and enjoy the view. 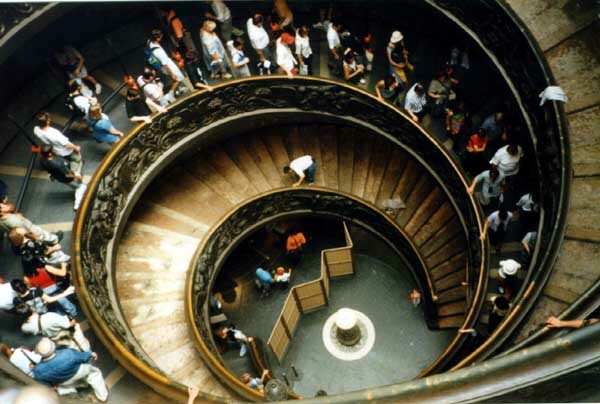 The spiral staircase at the far end is a point of interest to the visitor who enters the building. Proper restoration attempts were done a few years ago during the incumbency of Gov. Agbayani with Architect Jojo Mata with the main objective of bringing back its old splendor but when Gov. Espino held office, they implemented their own version of restoration that departed from the original plan. According to Ivan Henares, the interior has been changed to such an extent that it is totally different from the original. Gone are the wrought iron grilles that used to separate the offices. Wooden panels have been added and much, much more that will make a staunch heritage advocate like Ivan weep. Sayang! 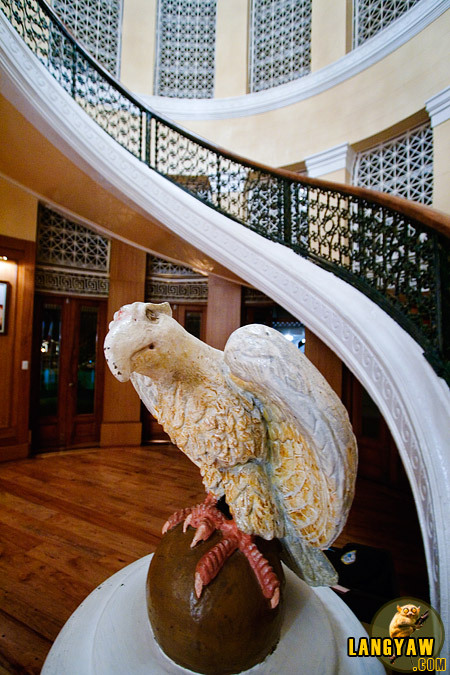 I dont think the eagle by the stairwell looks original. Sad! Parang pinilit yung eagle.At least they did not ter it down as compared to other landmarks. nice photos. the building look very clean.